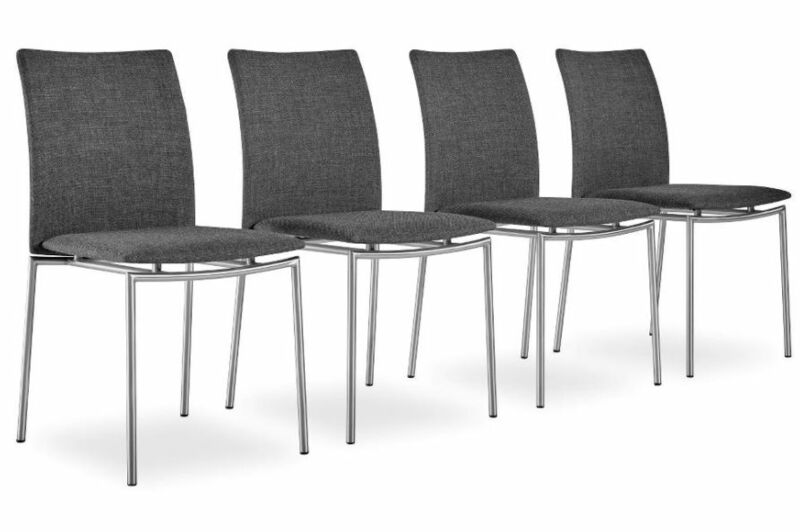 The #48 dining chair is a reinterpretation of the Skovby-classic #58, best known for its classic and elegant look. We have made the curved back of the chair a little shorter than the original model. This provides the new #48 dining chair with new life and a great, modern expression. 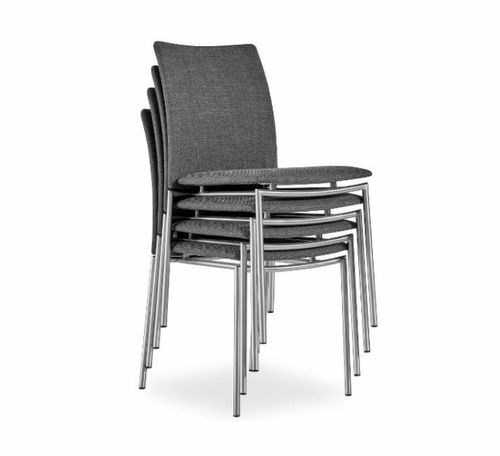 The Skovby #48 dining chair still has a beautiful brushed steel-frame, providing a nice contrast to a wooden dining table. And the seating comfort is, of course, extraordinary. Combine selected colors of leather and fabrics, and provide your #48 chair with life and a great, modern look.